The end of the FBT year is fast approaching, and it is a good time to reflect on your FBT plans for 2019-20. Fringe benefits are benefits that you provide to your staff that fall outside the categories of traditional wages and salaries. Examples of common fringe benefits include cars, low interest or interest-free loans and school fees. Fringe benefits are taxed differently to income, and business owners should be aware of the relevant compliance issues when negotiating salary packages. The benefits are not subject to income tax. 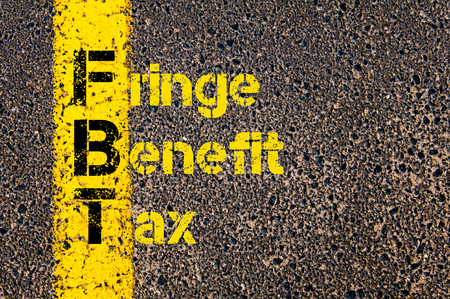 However, the employer must pay fringe benefits tax (FBT). Typically, the employer will reduce the employee’s salary by the amount equivalent to the FBT incurred. The FBT rate for the year ending 31 March 2018 and 2019 is 47%. It is advisable to seek professional guidance before entering into a new salary packaging agreement with an employee. The reason for this is that the calculations surrounding FBT calculations are extremely complex, and you may end up inadvertently disadvantaging them in the process, thereby defeating the purpose of salary packaging. Contact our FBT accountants today. Salary Sacrifice - Super in your 40's - Leenane Templeton on Super in your 20s – Yes it’s boring! But don’t ignore it. Super fund in Your 30's - Do I have to think about it right now? - Leenane Templeton on Super in your 20s – Yes it’s boring! But don’t ignore it. Superannuation in your 20s - Yes it's boring! But don't ignore it. - Leenane Templeton on Super in Your 30’s – Do I have to think about it right now?